There are racing simulators, and then this high-tech piece of wizardry. 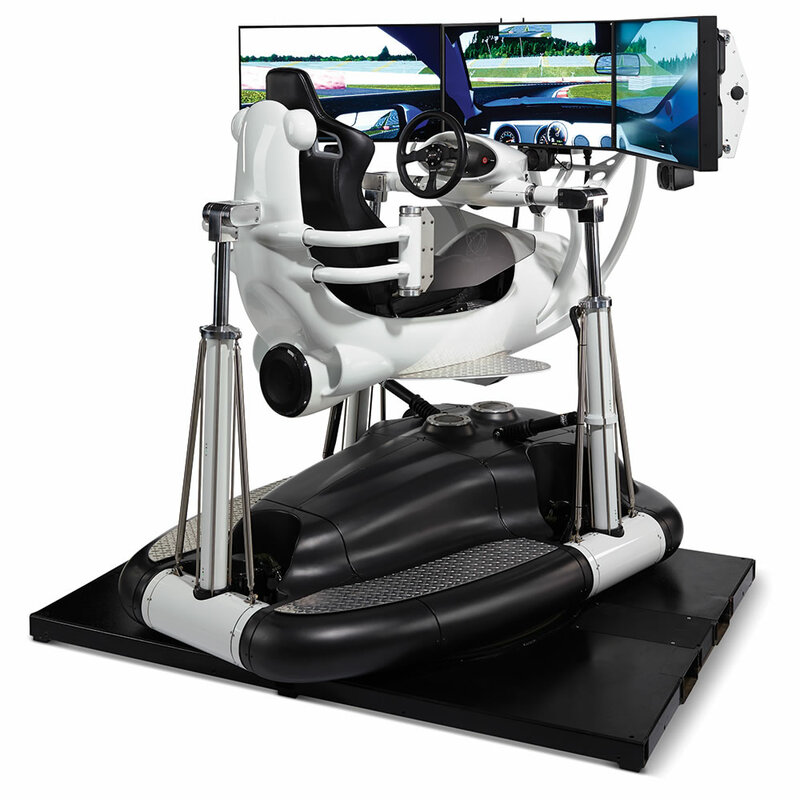 Officially called “The Most Realistic Racing Simulator,” it was selected by Ford Motor Company to demonstrate ride experiences, and the simulator uses linear servo actuators that cause its monocoque fiberglass chassis to roll, pitch, and rotate 360° at up to 0.5G acceleration. In other words, it’s as close as you’ll get to simulating entering a turn at 200MPH or moving up a bank in the slipstream of an opponent, at home. The chassis’ front end even dips when braking at hairpins, pushes forward when accelerating during passes, and rumbles when driving on an apron. One caveat: it costs $185,000. Continue reading for a video and more information. “Its two paddle gear shifters, steering wheel, accelerator, brake, and clutch – all from real race cars and modified for simulator use – provide rapid gear changes and provide adjustable travel for optimal realism. The force-feedback steering system generates 10x the forces of lesser simulators. Providing 12 race cars that include stock, GT, F1, and F3 models, the simulator replicates precisely modeled signage and backgrounds for 16 short, tri-oval, or road courses, ranging from Joesville Speedway to Nuerburg on a 108″-wide, triple HD monitor display with a 500-watt audio system,” according to Hammacher Schlemmer.